We were at Lucky Chinatown Mall two weeks ago when my ramen-loving bf saw an advertisement about half-priced ramen at the mall's Rai Rai Ken. It was just 5pm -- too early for dinner -- but bf was determined to grab a bowl. 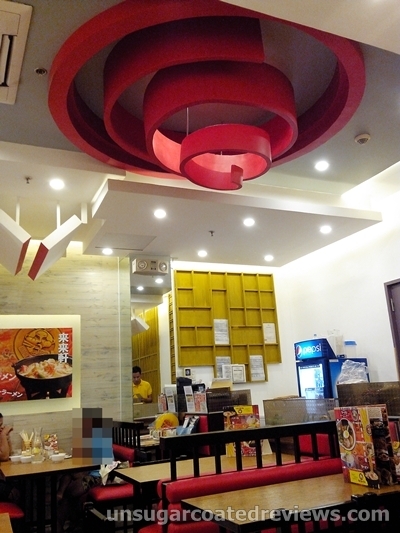 The restaurant was pretty inviting with its bright and colorful interior. Everything looked clean and orderly. 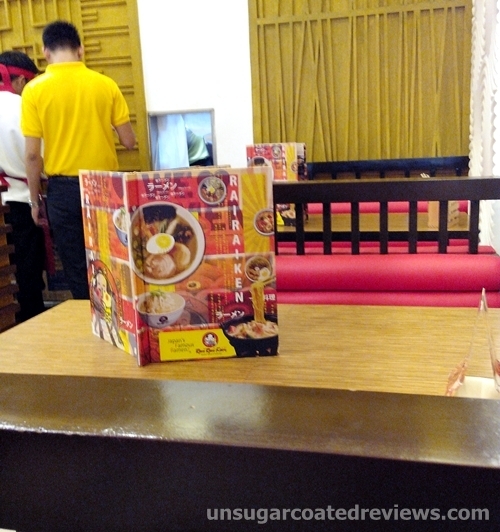 The waiter stood patiently beside our table even though we took a long time ogling the menu and choosing our ramen. After a few minutes, our piping hot bowls of goodness arrived. 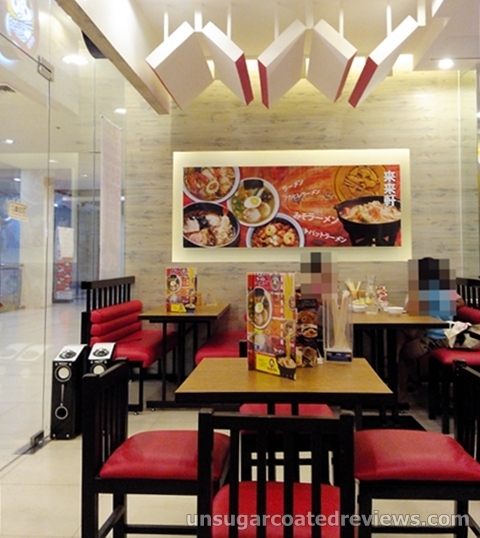 The Seafood Hot Pot Ramen is a Best Seller according to the menu. 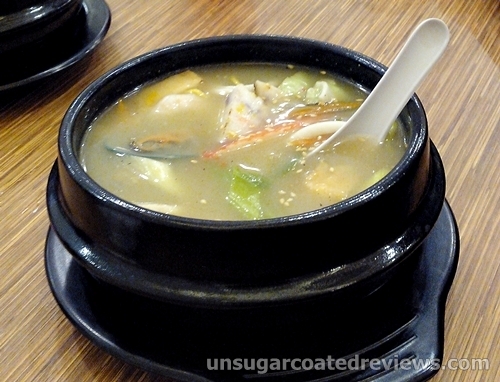 It has shio infused in thick and creamy soup and is topped with mixed seafood, tofu, and vegetables. The Super Umani Ramen, meanwhile, has shoyu infused soup topped with seafood, pork, veggies, and veggie balls. We found both kinds of ramen to be good and satisfying. The broths were tasty and there were a lot of toppings. 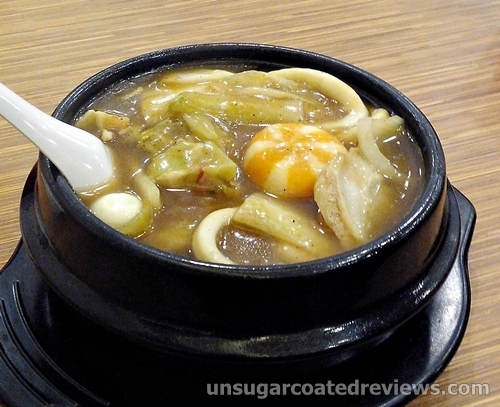 Between the two, I found the broth of the seafood hot pot ramen more to my liking. Bf agreed; he preferred it too. 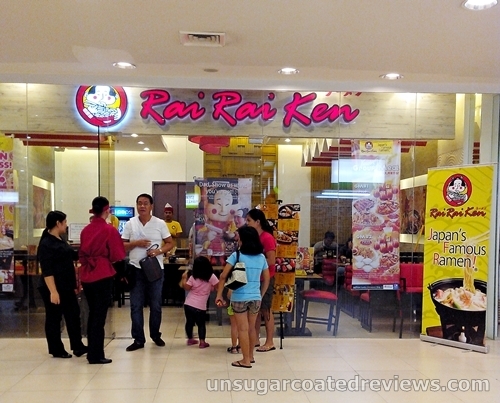 The 50% off promo for all ramen in Rai Rai Ken Lucky Chinatown Mall branch is available from 10am to 7pm until July 31, 2013. Reina Regente St. Corner Dela Reina St.